Bionic Eyes from Second Sight « Adafruit Industries – Makers, hackers, artists, designers and engineers! A company called Second Sight is changing human vision by making prosthesis for eyes. 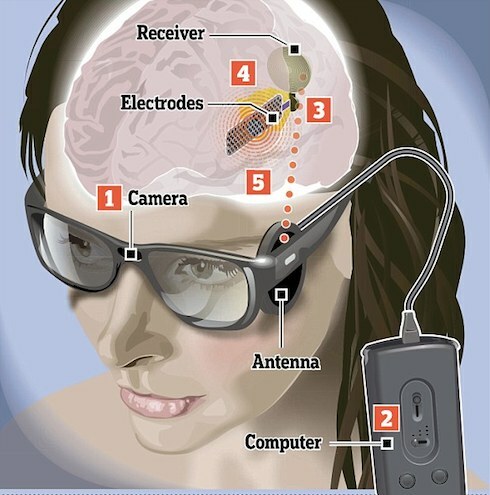 They are working on FDA approval for a new bionic eye called the Orion I which does not require a retinal interface. Second Sight has a shipping bionic eye called the Argus II which required some retinal functionality to work. Both versions seem bulky, require surgery and provides very low resolution images. One user who has been blind for ten years says “It’s crude, but it’s significant, it will work”.